Felice Original: The blog train is leaving again!!!!!! The blog train is leaving again!!!!!! Sorry i'm late with this,but my daughter had to go to the hospital and everything went bonkers around here. Now for the parts of the other Designers. We're all in different time zone's so if one of them hasn't have their part on their blog yet,please have patience and come back at a later time. And girls please leave some love whith all of us on our blogs!! We worked hard to get this done for you. Happy blog hopping and scrapping or tagging. Beautiful Kit! Thanks for sharing! Hope your daughter is doing better! Thank you so much for this Freebie. 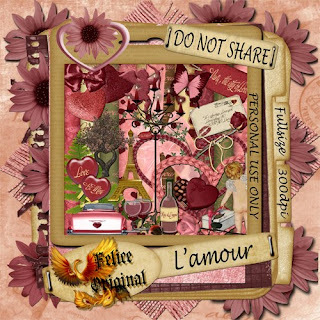 I want to let you know that I posted a link to your blog in CBH Digital Scrapbooking Freebies, under the Page 9 post on Jan. 15, 2010. Thanks again. Felice, thank you so much for spending the time to share. I do hope all is well with your daughter. love your kit. Can't wait to unzip and have real good look around. Thank you! Your blog post will be advertised on the DigiFree Tagger Freebie search engine today (look for timestamp: [16 Jan 02:50am GMT]).